An important figure in contemporary Hindustani classical music, G.S. Sachdev has been highly praised by musicians like George Harrison and Ravi Shankar for his incredible fluency and range of expression on the bamboo flute, and Romantic Ragas offers a glimpse of this performer's singular talent via a triptych of romantically themed melodies. 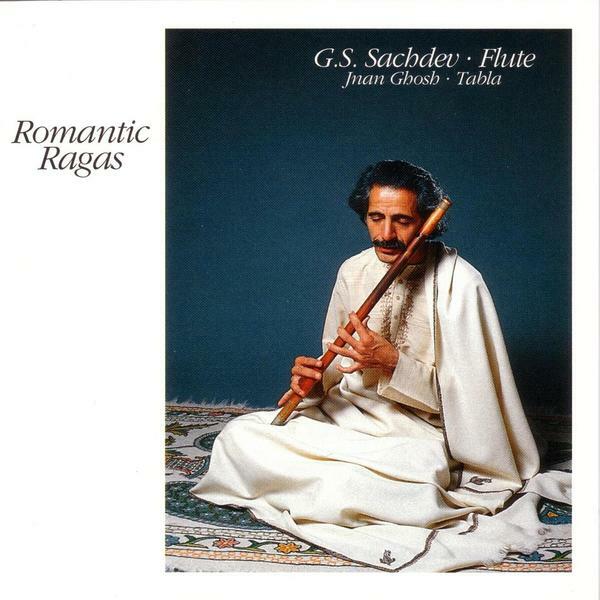 With the accompaniment of Jnan Ghosh's tabla, Sachdev paves these compositions with a supremely mellifluous and sublimely calm playing style, leaving plenty of room in the recordings for Sachdev's tonal mastery to shine through - the combination of an exquisite technique and a remarkable ear for phrasing make Romantic Ragas a truly bewitching listening experience.